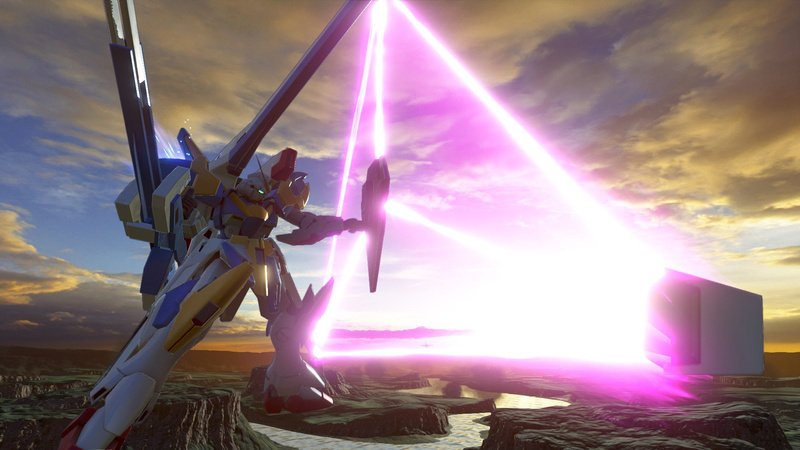 The feeling of satisfaction that you get when your beam rifle finally finds its mark and your opponent spirals into a ball of flame is the best part of Gundam Versus. After three minutes of desperately tense, twitchy movement and praying that your attacks connect, watching as the camera cuts away to an exploding mobile suit is the perfect payoff. Gundam Versus is a hugely rewarding experience. 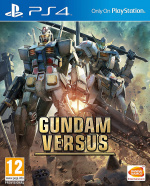 A fighting game at its core, this is an arena-based brawler which mostly sees either teams of two or teams of three face off against each other. Combat is a mix of long range shooting, deadly melee attacks, and, most importantly, fully 3D movement. Its controls are simple – there are no extended combos to learn or giant move lists to master – but its initial accessibility masks the kind of depth that makes for a fantastic competitive title. Japan's been playing these Versus games competitively for years, so it's about time that the West got a localised taste. This latest instalment has been built from the ground up for PlayStation 4, and it's clear that the developer's put a lot of effort into making it feel like the complete package. Aside from some notable character roster absentees (no G Gundam? No Gundam SEED Destiny? Really?) 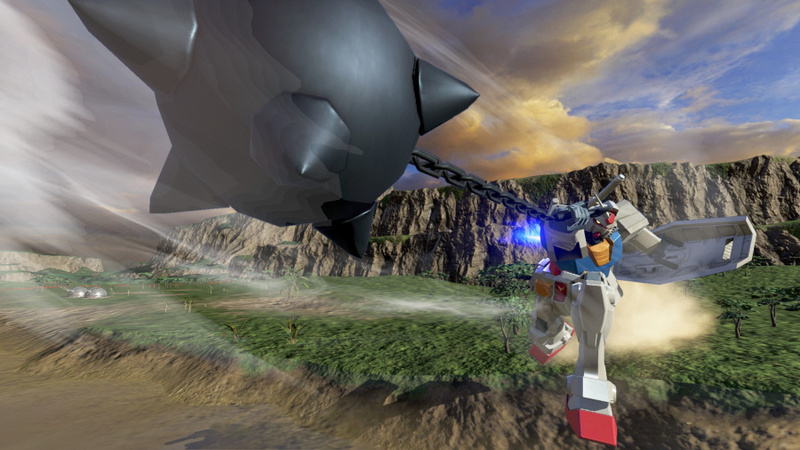 this is just about everything that you need from a Gundam title: plenty of single player stuff to blow through and a super solid suite of online shenanigans. Between the arcade-like trials mode, regular versus computer mode, and the wave-based ultimate battle mode, there's a good amount of solo content to chew on, especially when you factor in the almost 100 suit strong playable roster and all of the cool little extras that you can unlock. The artificial intelligence can become a bit predictable later on, but again, there's enough here to keep you occupied if you're not quite ready to hop online. As is the case with any fighting game, though, things get really interesting when you do decide to team up with fellow pilots. Online, you can get stuck into tense one-on-one duels, traditional two-on-two matches, or you can try out the newly introduced three-on-three format. As you'd expect, the latter is much more chaotic, but even if it feels like you need eyes in the back of your head and the reflexes of a Newtype, it can make for an exciting change of pace. The netcode seems reliable, too. We've had a couple of contests where a laggy opponent has thrown us off completely, but for the most part, it's all worked very smoothly. However, we did run into a few problems with the game's co-op component, in which you team up with other players to either fight off waves of foes together or bring down powerful boss enemies. One battle saw us unable to damage a boss even though our attacks were hitting dead on, and another was rendered unplayable as the boss jittered and teleported around the map. When it's running as intended, the inclusion of co-op is welcome – adding yet another way to get your mecha action fix. 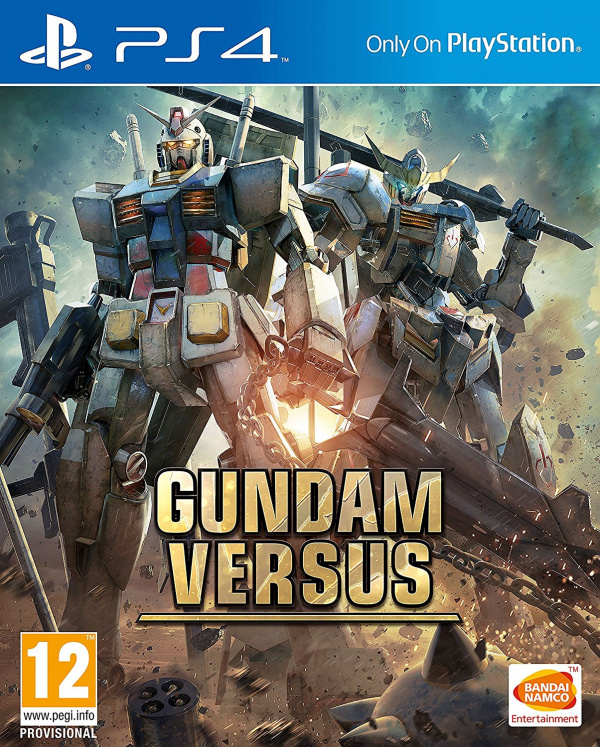 Gundam Versus feels like it's fit to burst at times, but it's a real shame that there's no splitscreen option for local multiplayer. The only way to suit up with friends is to jump online with one another, and for a game with such a steep learning curve when it comes to playing competitively, that's a disappointing oversight. Moving on, the title presents itself well. The suits are all lovingly modelled, and the many attack animations look great. Graphically, the game certainly isn't anything special, but there are some punchy visual effects on show and the whole thing runs at a silky 60 frames-per-second. Sorry that this is a bit late but if anyone has any questions about the game let me know! I tried the beta and it was just as bad as the trailer portrayed. Utter tosh and an embarrassment to proper Mech games. @Hengist I know, right. I mean, it can't hold a candle to Mech Warrior 2! @shogunrok So with no G Gundam (Super disappointing) and no Seed Destiny, what are the choice cuts? Iron Orphans is obviously in it, but is there any Unicorn? Thunderbolt? Even Age? @Cassetticons Unicorn, Thunderbolt, and Age are all in it. Unicorn has all the suits you'd expect, Thunderbolt has Full Armor Gundam and the... mega Zaku thing I forget the name of. Age has one or two suits. Overall I think there's a good amount of variety, just some glaring omissions as mentioned. @ShogunRok Ah cool, as long as it's not only a chronic lack of certain gundam. I guess G Gundam has the dev afraid of putting any in for tone sake, same with Dynasty Gundam if I remember correctly. And I guess Seed Destiny because no-one liked it. @Cassetticons The Gundam Warriors games had God Gundam and Master Gundam from G Gundam if I remember right, but obviously there could have been a lot more. It's a shame to see G get shafted so much. The omission of SEED Destiny is really weird, though. SEED is in it, but there's no Athrun or any of his suits. 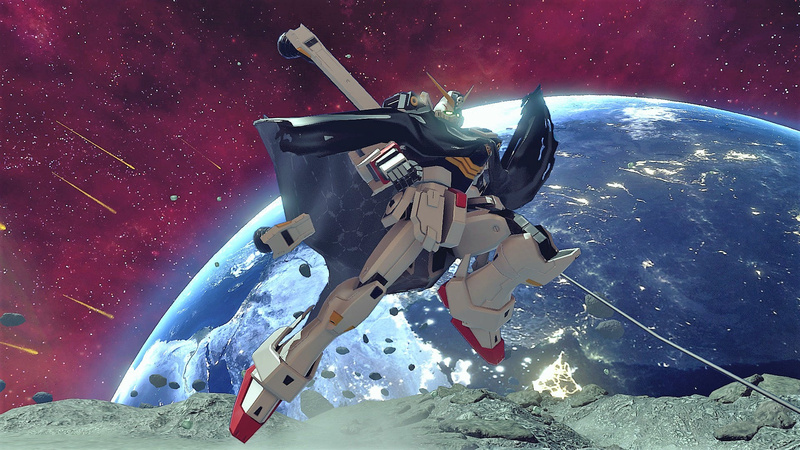 And without Destiny you don't get popular suits like the Freedom Gundam. I don't think much of Destiny either (although I don't hate it), but I do think it had some cool suit designs and I'd have liked to have seen them here. Can't believe there is no G Gundam - not buying until a price drop now. Yup, it's on my shortlist. Tempting, will consider getting this, thanks.